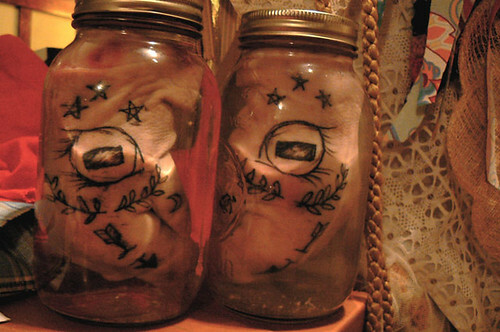 Eye Color Tattoo If you're into messing with your eyes, you might like this. 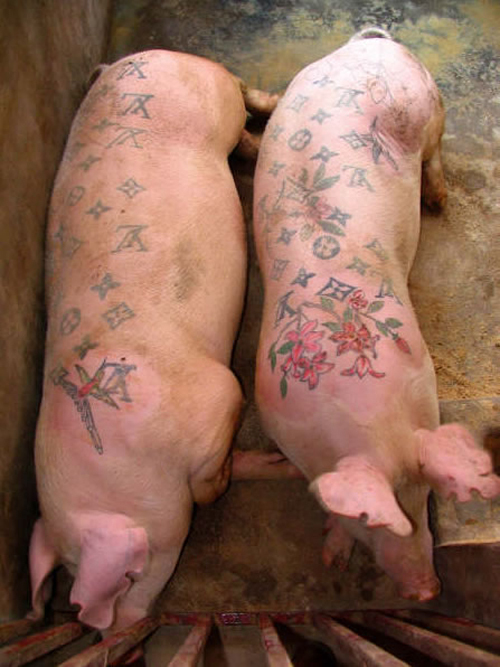 the pigs and professionals to tattoo them with cartoons or symbols. 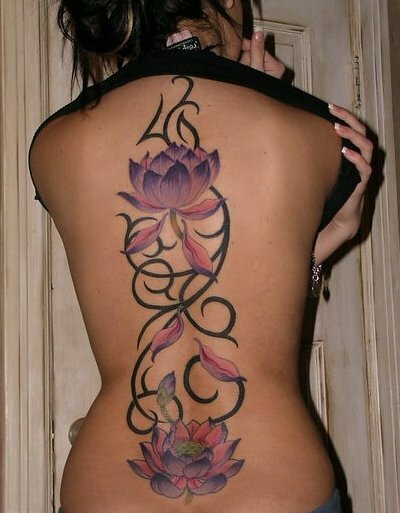 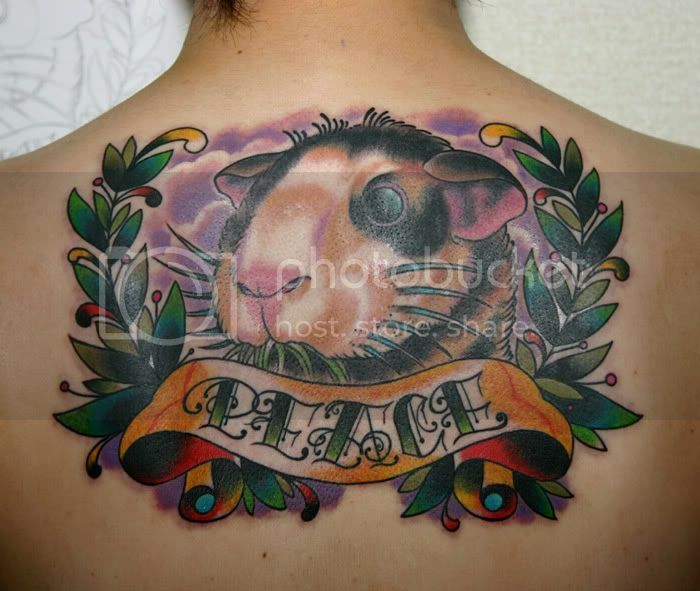 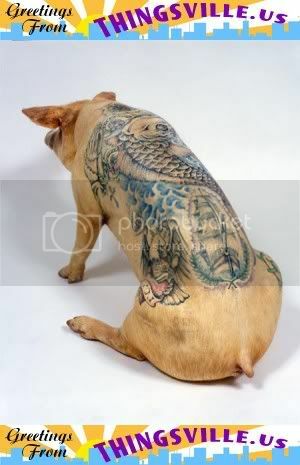 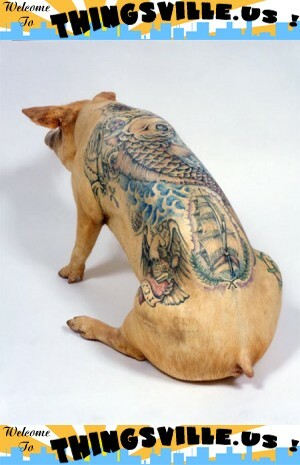 But who knew people actually tattooed pigs? 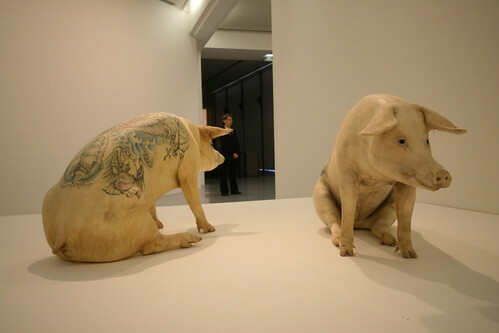 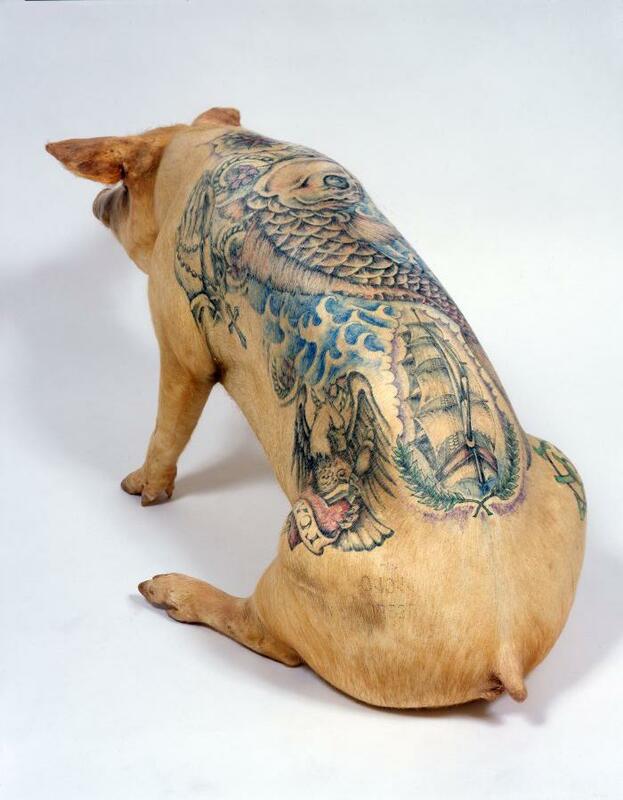 Tattooed pigs have been banned from a modern art exhibition in Shanghai. 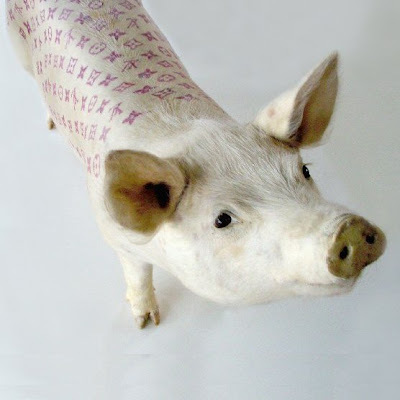 Delvoye make tattoo on stuffed pigs and pig skin.